Cohen, Donna; Eisdorfer, Carl. , The Loss of Self: A Family Resource for the Care of Alzheimer's Disease and Related Disorders. Rev. and updated ed. 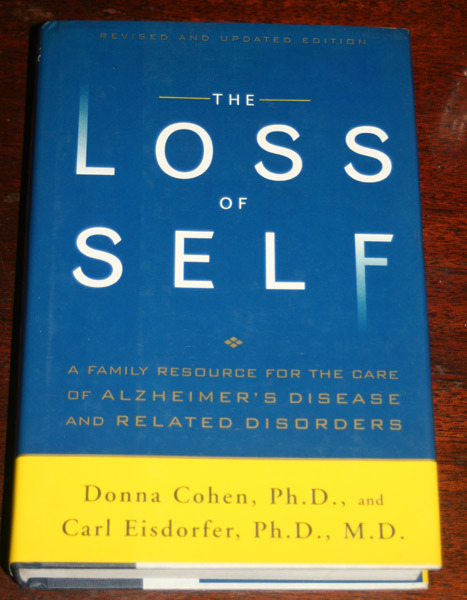 The Loss of Self: A Family Resource for the Care of Alzheimer's Disease and Related Disorders. Rev. and updated ed. 461 pp. Fine in very good dust jacket. Contents: The loss of self; The diagnosis of dementia; Reactions to the diagnosis; Setting goals after the diagnosis; Medications to cure Alzheimer's disease : where are we? ; Drugs : helpful and harmful; Ways of caring; Long-term care at home; Coping with the stress of caring; Depression : getting the help you need; Rehabilitation : a focus on function; Choosing a nursing home if the time comes; Death and dying; What scientists know about the causes of Alzheimer's disease; The cost of caring.